The other day on the ‘gram, I heard that Yelawolf was going to be making an appearance to promote the Creek Water American Whiskey. So I took the trip and picked up a few signed bottles. It was a badass time and DJ Klever was there spinning some classic rock jams. 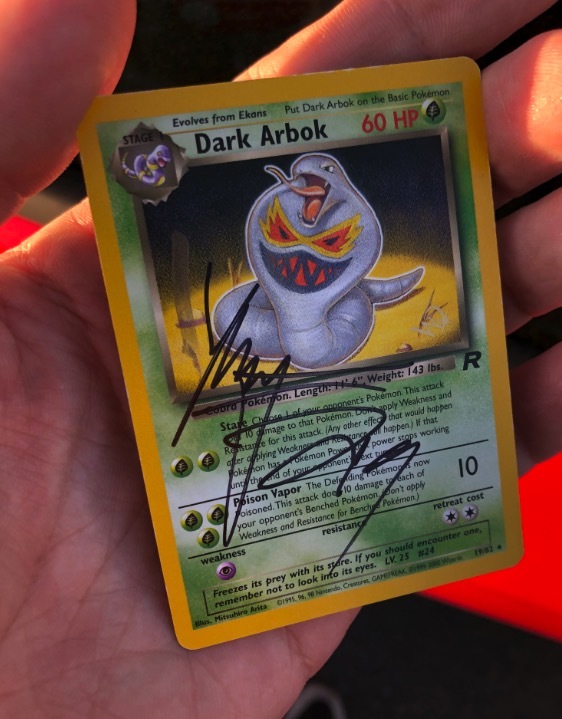 Best of all, he even signed a Pokemon card for me! I handed him a Dark Arbok Wizards of the Coast promo card and he looked confused at first. He signed it though after a brief delay and even changed pens to make it happen. Good guy, good times, good music. I tried the Slumerican Whiskey too. It rocks!